Vision and ocular health conditions are not always accompanied by recognizable symptoms, and there is often an increased risk to the patient if timely treatment is not initiated. After initial examination, your optometrist will schedule regular checkups for you at a frequency that meets your particular eye care needs. Many factors (hypertension, diabetes, family history of eye disease, those on medication which may have ocular side effects, to name a few) will influence the frequency of your eye examination, and the optometrist will weigh these factors in deciding when you should be seen again. When should I book my child’s first eye exam? Vision tests for children are performed in an age appropriate fashion and some simple tests can be performed as early as 6 months of age. Different types of targets, shapes, numbers and letters are used to determine a child’s visual acuity (ability to see over various distances), peripheral vision and to determine how the eyes focus and move together. Various methods, which at times include eye drops and the use of specialized equipment is used to assess the external and internal eye health to assess for potential disorders. We recommend that our patients bring all eyeglasses to their appointment. By reviewing your old prescription and assessing your existing eyeglasses, not only are we able to establish a baseline, but we are also able to establish any needs you might have for your new glasses. Also, if no prescription change is necessary, it is possible to ensure that the current eyeglasses continue to meet your needs: they’re not too scratched or damaged for optimum vision and that the fit is still ideal. Sunglasses can be useful after an eye exam as patients may be dilated in order to provide a more complete assessment of ocular health. Dilation is not painful however it does increase the size of the pupil, resulting in sensitivity to bright lights. Yes. If you are a contact lens wearer, you should wear your usual contact lenses to your appointment. This allows your optometrist to assess the current fit and level of vision with your lenses and to make appropriate recommendations. It is ideal to wear your contact lenses for at least two hours prior to your appointment so your lenses may be viewed in their settled position. Why do I need to have my contact lenses checked when I have been wearing them for years? Contact lenses are a medical device. Your eyes and contact lenses will need to be carefully examined on a regular basis, even if the lenses continue to feel comfortable and offer clear vision. In order to ensure that the contact lenses are not damaging the tissues of your eye, it is of utmost importance to have your contact lenses assessed every year or as determined by your optometrist. Many contact lens complications do not cause symptoms in the early stages. Contact lenses can desensitize your eye to pain and irritation. If this happens it is possible for tissue inflammation to begin without any symptoms. Consequently, you may not come into the clinic until you have advanced complications. Only a thorough, regular, comprehensive examination by your optometrist can detect the subtle changes in vision and eye health that occur as a result of contact lens complications. Early detection of these changes can prompt corrective measures before more serious complications develop. Routine assessments are also beneficial in that your doctor can have the opportunity to discuss advances in contact lens technologies as well as to reassess your lifestyle and contact lens wearing habits to ensure your contact lens regime is still suitable. Although contact lenses can be fit to patients of any age, generally patients have to be mature enough to manage their contact lenses well to prevent severe eye infections and complications. 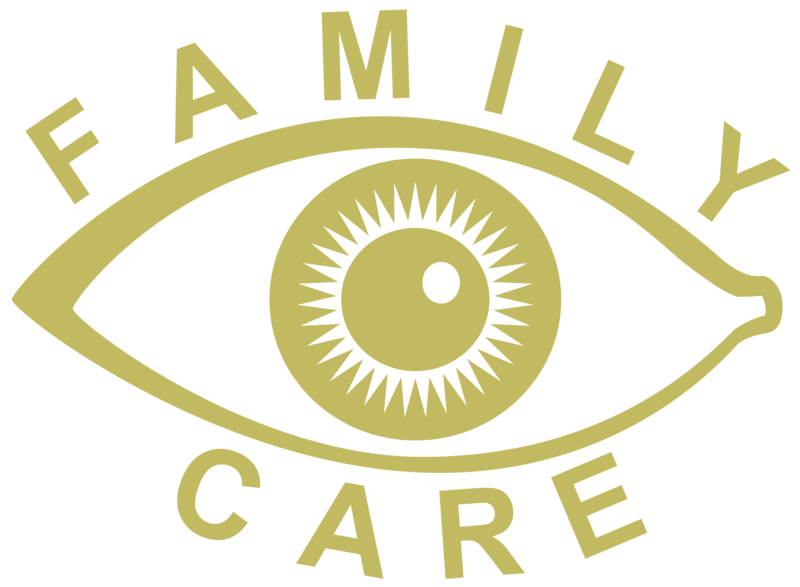 When one is not capable of being responsible for this management then parents or guardians must be willing to take over the role of responsibility to ensure that the lenses are worn the proper number of hours, cleaned properly, replaced as directed, and, inserted and removed properly. Eye drops that dilate the pupils, called mydriatics, are used in some examinations to enable the doctor to get a better view of the inside of the eye. The doctor will decide how often this type of examination is necessary for each individual depending upon his or her symptoms, age, health, and family history. The drops generally leave your vision a little blurry and sensitive to light, so you may not be able to drive immediately after this procedure. The effect of the drops usually wear off in 2 to 6 hours. Eye drops that relax the focus of the eyes, called cycloplegics are used to accurately measure the degree of far-sightedness of the eyes. These are generally used, when necessary, for children and young adults. These drops also leave the vision blurry and sensitive to light. Most patients find that after the eye exam they are okay to drive. During the eye examination eye-drops may be used that dilate the eyes to help the doctor see different parts of the back of the eye. These drops can cause light sensitivity for a few hours after the examination. Therefore, we recommend that sunglasses be worn after the eye exam during daylight hours. For very light sensitive patients they may be more comfortable having someone drive them home after the eye examination. Other drops may be used which temporarily affect ones focusing system. These patients may have to wear prescription lenses home to see well (or have someone drive them home after the examination). “I hate that air-puff thing!” Is it really necessary? “That air-puff thing”, although mildly unpleasant is an important test called non-contact tonometry (NCT). It provides a measurement of the internal fluid pressure of the eye. The doctor uses that information, along with other examination procedures to determine if you have glaucoma or have a risk of developing glaucoma. There are other methods of measuring the intra-ocular pressure which may be used if you cannot tolerate the “air puff” or if your doctor of optometry prefers a different method. Does OHIP cover my examination? OHIP covers the yearly examination for children 19 years of age or younger, for seniors 65 years of age or older and for adults between the age of 20-64 with certain medical conditions. OHIP does not cover contact lens fittings or contact lens assessments, which are required for contact lens wearing patients. OHIP does not currently cover the digital retinal imaging test which we perform on our patients. Retinal Imaging allows a photo-documentation of the back of the eye, allowing us to document disease and monitor for progression of diseases. This is a ratio used to indicate normal visual acuity. It means that people with ‘normal vision’ on the acuity chart are able to see a certain size of detail at 20 feet. That detail is calibrated to be the same size in all eye examinations so that visual acuity can be standardized when tested between different offices. The detail viewed could be letters, pictures or numbers. Some people have better than normal vision and some have weaker than normal vision. The top number in the ratio indicates the test distance (20 feet) that the target is calibrated for. The bottom number of the ratio indicates the distance at which a person with normal (20/20 vision) would be able to see that size of target. For example, if a person had poorer than normal visual acuity, say 20/400 it would mean that the size of the target that this person sees at 20 feet would actually be recognized by the person with 20/20 vision at 400 feet. Conversely, a person with better than 20/20 visual acuity, say 20/15, would be able to see the small detail at 20 feet that a person with 20/20 vision would have to bring closer to 15 feet to be able recognize it. Why do I have to have Retinal Digital Imaging done? The practice of optometry is changing with the advent of newer and more advanced technologies to diagnose and monitor the health of the eye. Retinal digital images are taken to assist in documenting and monitoring the intricate details in the back of your eye. Certain conditions such as glaucoma, diabetes, and macular degeneration are very difficult to diagnose and require careful monitoring over time to assess for subtle changes. Retinal digital images are also crucial to accurately document the size and degree of any unusual findings in your eye such as retinal nevi and spots caused by macular degeneration. How come my eyes get tired at the computer? Positioning: Correct positioning of your computer, keyboard, and typing copy is essential. Your screen should be about an arm’s length from your eyes and 15-20 degrees below eye level for optimum alignment and neck positioning. Lighting: Room lighting should be diffuse, not direct, to reduce glare and reflections from your screen. Use blinds or drapes on windows and/or use an anti-glare filter for your monitor. Glasses: Anti-reflective coatings on the lenses of your glasses can be applied to reduce discomfort and to ease reduced vision from bright and/or flickering light sources such as fluorescent lights. Don’t forget – your optometrist can talk to you about eyeglasses designed specifically for computer users. Time-out: To prevent eyestrain, try to rest your eyes when using the computer for long periods. Optometrists recommend the 20-20-20 rule: every 20 minutes, take a 20 second break, and focus your eyes on an object at least 20 feet away. Blink: Did you know that, on average, we blink 12 times per minute? But, when we are on the computer, we only blink 5 times per minute? Infrequent blinking causes tear film evaporation; in other words, dry eyes. Relieve the discomfort by using artificial tear drops and remember to blink! An optometrist is a doctor of optometry who examines patients in order to diagnose, treat, manage and prevent diseases and disorders of the eye and visual system and its related structures. An ophthalmologist is a physician who, upon graduation from medical school, undertakes several years of post-graduate training in the diagnosis and treatment of diseases of the eye. As well as diagnosing and treating ocular disease either by medical or surgical means. What’s the difference between polarized sunglasses and regular sunglasses? Regular ‘tinted’ sunglass lenses are available in a variety of colours and densities, and can suit many needs. In order to provide optimum eye health, sunglass lenses must meet particular UV standards to be considered safe. Polarized sunglass lenses eliminate blinding glare for greater safety, provide more accurate colour perception for unrivaled visual comfort, and offer 100% protection against harmful UV rays. Polarized lenses are particularly helpful in bright light conditions such as water sports, driving, and golfing. What is the benefit of anti-reflective coating? Anti-reflective coating is a treatment applied to both the front and back surface of eyeglass lenses that enables light to pass through more efficiently, reducing surface reflection. By reducing the surface reflection, light passes through the lens more efficiently, increasing contrast and providing clearer vision. The increased comfort of the anti-reflective lens is particularly noticeable when driving at night, or when using the computer for prolonged periods of time. Lenses with anti-reflective coating are both optically clearer and esthetically more attractive due to the low levels of reflections observed on the surface of the lens. Anti-reflective coatings make the lenses look thinner (in some cases, almost invisible) and enable others to see your eyes more clearly. How do I decide which lenses are right for me? Various lens styles (single vision, bifocals and progressive) as well as lens materials are available on the market. Selecting the right lens can be an overwhelming decision if looking at all the choices available without knowing what the options mean. At the time of your examination, your doctor of optometry will establish the correction required. They will also discuss the activities and aspects of your lifestyle that may be enhanced by wearing eyeglasses. Based on your prescription as well as your lifestyle needs, the optometrist will then recommend a lens style, as well as lens material.